This is such an original idea, as you know I say all the time to add something into your design that is personal to you and makes your wedding stand out from the others, and this is something like that! It’s simple and effective and even the chilli can go with many different styles and themes! With using something like chilli’s in your design you can add them to many different parts, like the stationary, in your bouquet and other floral arrangements, your cake, and even for a favour! As this is something completely different I thought I would share the design board with you, which has been re-vamped for this blog post and yourselves! 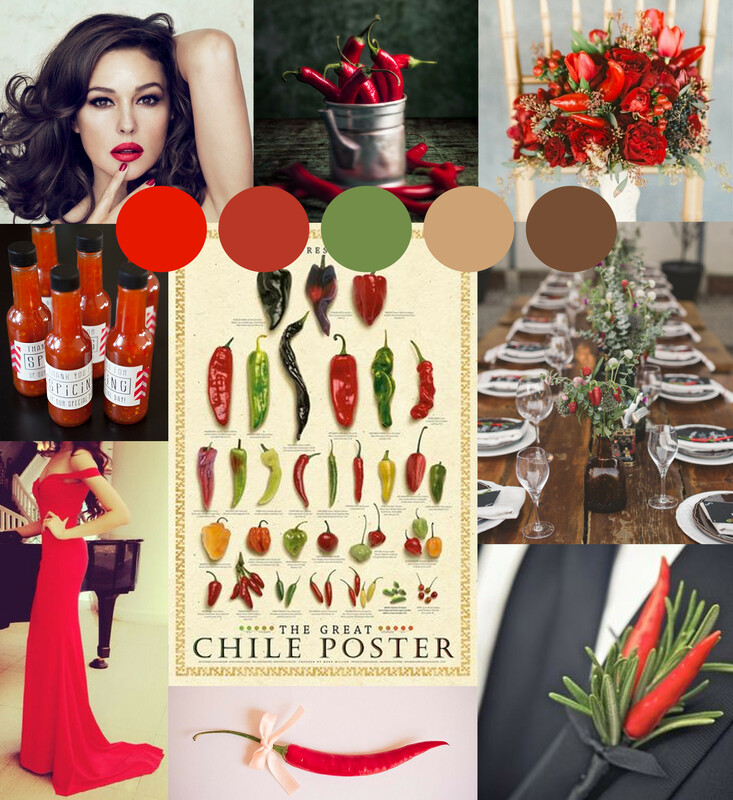 What do you think of this chilli love design board? I also have created a pinterest board, on chilli love with more photos. Please remember though it’s a clients board and has a mix of country elements in it too.